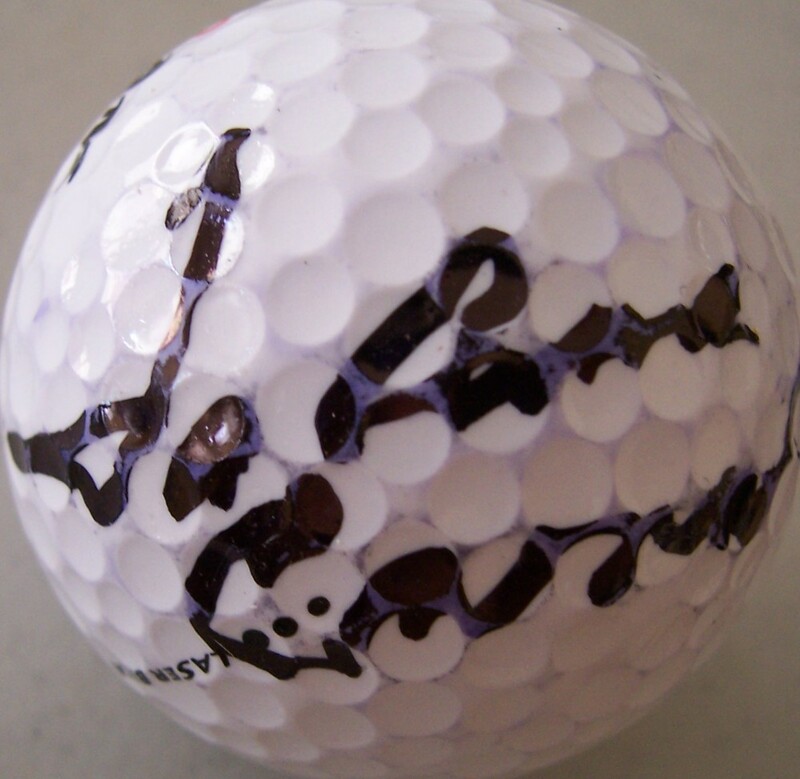 Ram golf ball autographed in black by LPGA Hall of Famer JoAnne Carner. Signature has minor rubbing. ONLY ONE AVAILABLE FOR SALE.